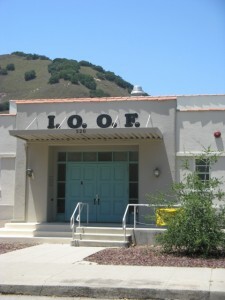 The Odd Fellows Hall on Dana St. represents a fixture of local events and community gatherings. To give a little back to the place that has given so much, One Cool Earth donated and planted several oaks–in the front of the building to beautify and shade the premises, and in the back along the parking lot to furnish shade and dispel the heat-island effect of parking lots. Only two years after planting, the trees in the front have jumped to five feet in height with virtually no regular irrigation, exemplifying the success of native plants in landscaping and refuting the myth that oaks grow slowly. The trees can now stand alone in the landscape or be enhanced by future plantings.